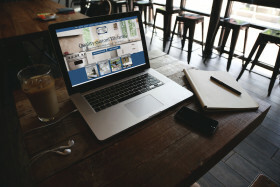 This week at Harrison Kitchens and Cabinets we are launching our new website! It has been quite an involved process to bring our clients this exciting new site. We wanted to keep many elements from our existing site whilst making it more modern, user friendly and compatible on mobile devices as well as desktop computers. First we looked at the elements that made our existing site successful. What was it that kept the customers coming back to us once they had read our site? Was it the informative content? Was it the gallery? Was it the services outlined? In assessing all of this we decided that it was a mixture of all factors. We have worked closely with website designers as well as managing the content ourselves and we are super happy with the final product and happy to see it go live! The new site has fresh images, easy to navigate pages and shows the visitor just who we are. We hope that our clients enjoy it as much as we do.